$4,000 Customer Cash. All Rebates cannot be combined with Special APR. Offer applies to select models, please see Dealer for details. 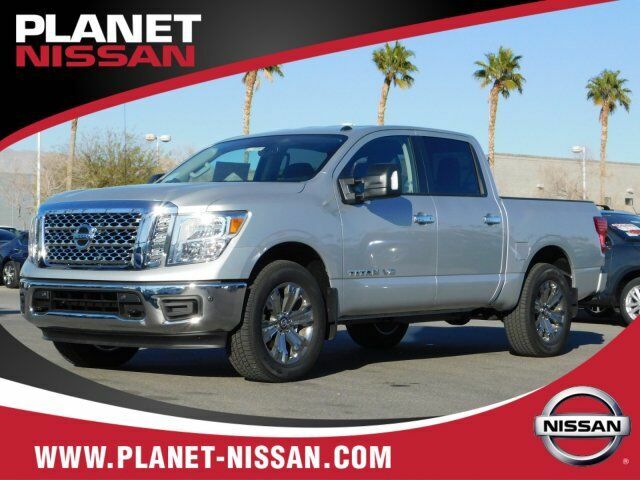 Brilliant Silver Metallic 2019 Nissan Titan SV 4WD 7-Speed Automatic 5.6L 8-Cylinder 4WD. $7,500 Nissan Customer Cash and $1,250 Nissan Dealer Cash. Rebates cannot be combined with Special APR. Offer applies to select models, please see Dealer for details. Internet Sale Price is not including taxes and fees. Dealer fees include: $599 Doc Fee and $29.25 Title Fee. Nevada Sales tax is 8.25%, this will apply if you are registering the vehicle in Nevada. If you are registering the vehicle in another state you are responsible for that state's sales tax rate if applicable.